Aiden Markram is all geared up to prove himself. With only 10 matches in post making his first appearance against Bangladesh in 2017, he has accumulated precisely 1000 runs with 4 centuries. It has taken him less time to be regarded as the important players in South Africa’s cricket team. He is only 23 years old, but has become popular by taking over as Test captain and skippered the One Day International side 5 times. There is no doubt that his future is brighter, but the biggest challenge would be to play a Test match outside South Africa. 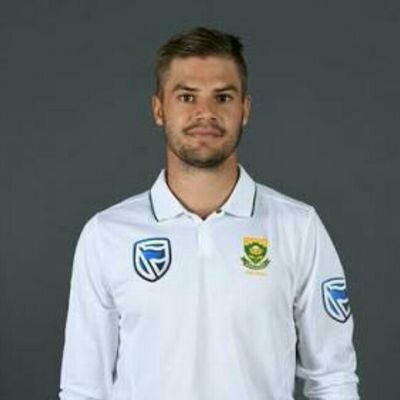 Markram will soon face challenges in Sri Lanka as the 2015 tour of South Africans to India was not a pleasant one as they lost 3-0. The 23 year old wants to show his country that he can play not only in South Africa but also outside his home country. It will be a different situation altogether and he is looking forward to face it with a lot of positivity. Markram said that it would be a great foreign experience when he would face the first Test match in Galle. The proteas have acquired 3 spinners Tabraiz Shamsi, Keshav Maharaj and Shaun Von Berg but Herath is known to be the strongest man. He is indeed the world’s best spinner and Markram is all geared up to face him and wish to take back some learning at the end of the series. Markram will definitely try to fill the void of De Villiers as it’s not a good thing to lose best players like AB. But Markram is positive that there is plenty of confidence in his team and this tour will definitely prove their worth. The pressure will be intense, but the team will handle it with the right tactics to make their country proud.